Like many Apple products, the original, one-off Smart Battery Case for the iPhone 6s drew initial ridicule for its hunchback design, followed shortly thereafter by critical praise for how well it worked. And now, over three years later, Apple’s finally back with sequels for the entire 2018 iPhone lineup. 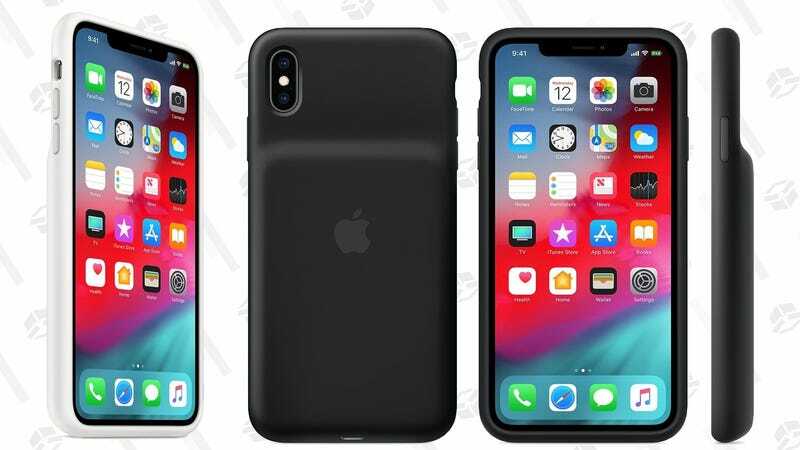 Priced at $129, the Smart Battery Case for iPhone XS, XS Max, and XR nearly doubles battery life on all three models, supports Qi charging, and is the only case that can display its battery level right alongside your iPhone’s on your lock screen. And unlike most third party options, it recharges with the same Lightning cable you already use for your phone, and even supports fast charging with a compatible USB-C to Lightning cable. It’s certainly not the cheapest way to extend your iPhone’s battery life, but if you’ve got the cash, it’s almost certain to be one of the best. And yes, compared to the old model, its battery hump is also less pronounced, sitting flush with the case along the bottom, while still giving way to a flexible silicone on top so you can easily take your phone out when you don’t want the added bulk.